Blog Yoga for Anxiety + Depression: What, Why, How? Yoga for Anxiety + Depression: What, Why, How? Yoga is a discipline and practice to find peace within the mind, body, and soul. It’s a life-time journey or process of reconnecting the self (you, me) with the universe, and being one with the universe. Learn more here about the different types of yoga. Why does yoga help anxiety & depression? Brings awareness of negative thought cycles, obstacles, and suppressed emotions. Eventually, yoga helps to let go of negativity and retrain ourselves to calmly and confidently respond to stressful situations. Lastly, yoga teaches you to listen to your body, so you learn what your body needs on a daily basis. Do you need more/less sleep? More/less food? A certain yoga sequence? Company or alone time? Service to others or to a higher being? Every yoga class is designed with a specific yoga sequence that contains poses or a series of poses to alter your mood. The following explains the purpose of each part of a yoga sequence, and what your body might feel during them + examples of poses. Heat and release of toxins. Helps rid anxieties. Connect the breath with single movements. The flow of these repeated movements will help calm and reconnect your mind with your body. Rids of toxins. Adds moisture to the spine. Change your perspective. Helps boost mood. Your First Yoga Assignment !!! Make a playlist of your favorite music that calms you (and doesn’t bring up bad memories). Clear a space for your yoga practice in your home. Make it look pretty and smell nice. Pick a candle for your practice. P.S. 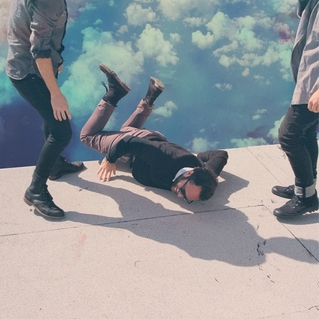 Currently, I like to listen to Local Natives Hummingbird album during my practice. This is only Part 1 of our Yoga for Anxiety and Depression series, so there are tons of more beautiful knowledge coming your way! Tomorrow’s article will start a series called a “Pose a Day” where I’ll assign you a pose to practice everyday. At the end of the week, I’ll assign you a whole yoga sequence (you’ll have a lovely video to watch/practice hehe) catered to a specific type of depression, anxiety, or panic you face. Then…I will muster all the courage I have, and post my stories of the cycles of depression + panic disorder I’ve worked through, and how yoga has helped me through each battle. …and tons more to help you with your practice !! 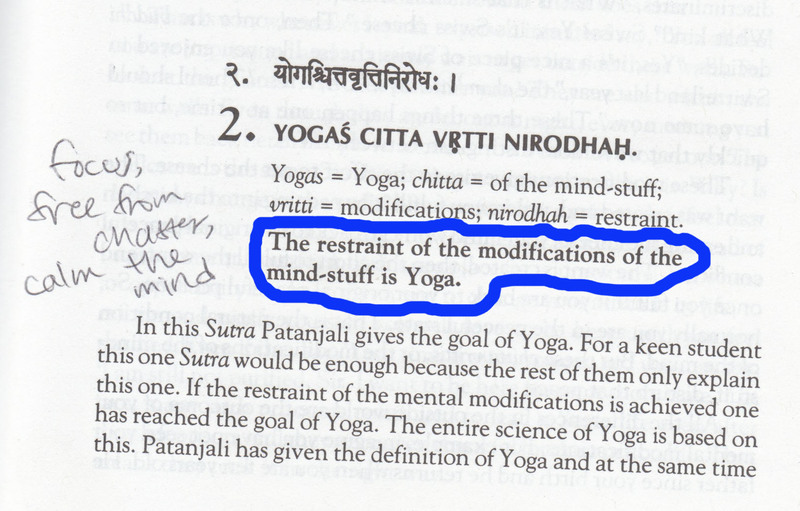 Book 1 #2 The restraint of the modifications of the mind-stuff is Yoga. Guidance from my yoga mentor, Ashley Rideaux. My personal experience as a yoga instructor and practitioner.